The U.S. House of Representatives voted Monday to close a decades-old loophole that has exempted financial institutions operating in Puerto Rico and the territories from the same investor protections that apply on the mainland. By a widespread, bipartisan margin, the House approved H.R. 1366, the “U.S. 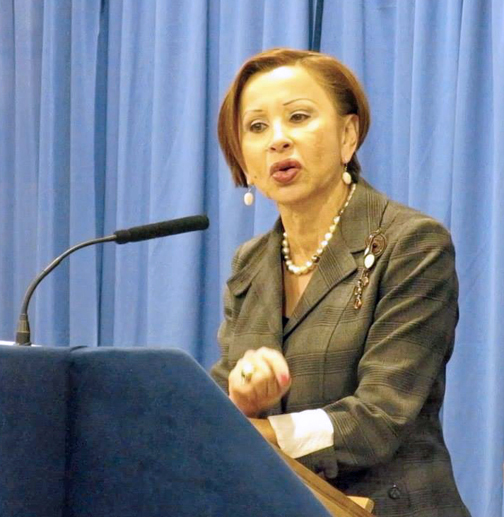 Territories Investor Protection Act.” Introduced by Rep. Nydia M. Velázquez (D-NY) in January, the bill affords the same financial protections to investors in Puerto Rico that have long been benefitted mainland Americans. Velázquez’s bill extends the Investment Company Act of 1940 to investment companies operating in Puerto Rico and all U.S. territories. It has been publicly reported that some entities in Puerto Rico have used the current law’s loophole to act both as an underwriter for the issuance of bonds, and then repackaged those same bonds into mutual funds they sold exclusively to investors on the island. While this type of arrangement is legal in Puerto Rico due to an exemption in the 1940 Company Act, it would be prohibited on the U.S. mainland. “As a result, investors residing in Puerto Rico and the other territories have experienced investment losses, some of which, likely, would have been prohibited had the 1940 Act applied to the territories,” said Resident Commissioner Jenniffer González Monday. Puerto Rico’s ongoing debt crisis has worsened the situation. Retail investors holding government bonds have suffered significant losses and are claiming that at least one major investment company did not properly disclose the risks of these funds, due to this conflict of interest exemption. “Puerto Rican investors holding these bonds have suffered massive losses and are claiming that UBS did not properly disclose the risks of these funds,” González said. At the time the exemption was created in 1940, it was suggested Puerto Rico and other “U.S. possessions” were physically located too far away for the Investment Act protections to be enforced. Since then, both Hawaii and Alaska, which are farther away from the mainland than Puerto Rico, have been granted statehood and the protections in the 1940 Act. Additionally, air travel between the U.S. and Puerto Rico is common and many financial instruments are now traded electronically. Velázquez’s legislation, the “U.S. Territories Investor Protection Act,” was twice approved by the House of Representatives last Congress, once as a standalone bill and once as part of a larger package of financial legislation. In both instances, the measure passed with widespread bipartisan support. However, in the waning days of the last Congress, the bill was blocked in the Senate. “Today’s bipartisan action in the House is a huge step for the people of Puerto Rico, and I will keep applying pressure for Senate action,” said Velázquez. Velázquez is the first Puerto Rican woman elected to Congress and the third most senior Democratic Member of the Financial Services Committee. The legislation will now need to be considered by the U.S. Senate. Hey Buddy!, I found this information for you: "U.S. House votes to close investor protection loophole". Here is the website link: https://newsismybusiness.com/investor-protection-loophole/. Thank you.